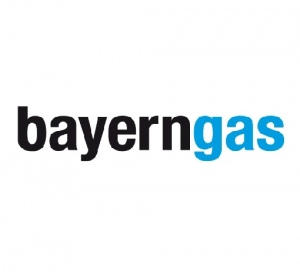 As the manager of the portfolio management department at Bayerngas Energy, I have been working with KYOS analytical software since 2013, for the stochastic valuation, hedging and calculation of exposures in the gas portfolio of Bayerngas. We selected KYOS after a thorough evaluation process. KYOS convincingly came out as the preferred supplier, thanks to their combination of strong mathematical models in a user-friendly system. I have seen how the KYOS solutions have helped us to make a big step forward in optimizing the flexibilities in our gas portfolio. The KYOS solutions provide a clear insight in the values and price risks of our flexible gas contracts and gas storage assets. At Bayerngas, we benefit from KYOS models in both the portfolio management and the risk management departments. One of the strengths of KYOS is that the company solutions are individual and flexible shaped for our customer needs. It interfaces easily with our ETRM system, our central price database and other systems. Various processes run fully automated every day, which saves us time and costs. When we need to set up new interfaces or have other customization requests, KYOS is very quick to respond and delivers on time. Another strong point is the level of KYOS support, provided in English as well as German. The team clearly knows about mathematical modeling but is also aware of practical market challenges.